San Diego U-T "Exceptional voices front and center"
Susan Narucki has been thinking a lot lately about how people connect, or don’t connect, with each other, especially in a digital world with email and social media. ...The big revelation from this production, however, was Strozzi. Spurned by music history, you have to wonder if a serious reassessment is in order. Her lament, “Sino alla morte,” is a masterpiece, with its rare fusion of music and text; even to the point where it’s difficult to tell where one ends and the other begins. And while she’s composing within the rigid conventions of the 17th century, early Baroque style, her writing is remarkably free. It’s full of surprises, unexpected cadences and imaginative turns of phrase, even if this piece is about a shattered heart but enduring nature of love. Alice Teyssier inhabited the piece as much as she sang it, infusing it with a potent combination of vulnerability and strength. The world premiere of Lear on the 2nd Floor, a new opera by Anthony Davis with libretto by Allan Havis, directed by Mark DeChiazza, conducted by Steven Schick, played March 6-9 at UCSD, Prebys Hall Experimental Theatre. For an opera and Shakespeare fan, it beats Malle all to hell. You can add composer Anthony Davis and his librettist Allan Havis to that list. Their new opera, “Lear on the 2nd Floor,” which premiered Wednesday at UC San Diego, is a significant achievement. While some of Davis’ earlier works seem self conscious about their aspirations of integrating high and low art, jazz and classical music, “Lear” reveals a musical language that seamlessly and with considerable subtlety incorporates elements from the vernacular and from contemporary classical traditions. In the production produced and directed by Susan Narucki and conducted by Steven Schick, it was often hard to decide whether this one-act, 60 minute work was an oddity, a masterpiece, or both. But in the final ensemble scene, where Ullmann’s just slightly askew parody of a Bach chorale (or was it a tribute?) was achingly beautiful, you became a believer. Wednesday night at UC San Diego’s Prebys Experimental Theatre, the resident Kalisti Chamber Opera presented a rarity in Viktor Ullmann’s 1943 Der Kaiser von Atlantis, written while he was incarcerated in the Nazi concentration camp at Terezin. According to director Susan Narucki’s program note, Ullmann wrote the opera for the resources that he had, accounting for a range of instruments that includes saxophone, banjo, harpsichord and harmonium. “We can only assume that there were a number of well-trained opera singers on hand, able to execute a demanding score,” she writes. During rehearsals an S.S. officer happened by and closed down the production. Theresienstadt, a "model" that the Nazis hoped would convince the world they were not brutal, was closed soon afterwards, and all its residents sent to extermination camps. Ullmann and his family were not heard from again, but the manuscript of the score survived. The enthusiastic, engrossed audience included all types -– rockers, new music fans and the traditional symphony crowd. One of those in jeans and a polo shirt was Gustavo Dudamel, who dashed out of a Mahler choral rehearsal just in time to hear Reich’s classic “Music for 18 Musicians,” after intermission. A retrospective of Reich, performed by musicians who live and breath his music, made attendance at this kind of event one of music's memorable experiences. At around 55 minutes in length, "Music For 18 Musicians," was a test of stamina--for the audience, and especially for this excellent assemblage of virtuosi performers. Both groups emerged winners. This composition helped catapult Reich into the elite of 20th Century composers, and, 36 years after its premier, remains a hypnotic masterpiece. This was not your father’s classical music concert. Even if the composer whose music was featured on the sold-out program at UC San Diego’s Conrad Prebys Music Center on Wednesday was old enough to be your father. The capacity crowd that showed up to celebrate Steve Reich’s 75th birthday (three months later) included punks, bikers, students, professors, dancers, artists and musicians of at least three generations, some with a generous assortment of piercings. An opera that blends modern chamber music with the poetry of Gertrude Stein has its west coast premiere tonight in San Diego. The piece, called "To Be Sung" is by composer Pascal Dusapin, and it's described as a kaleidoscope of colors and textures for voice and instruments. 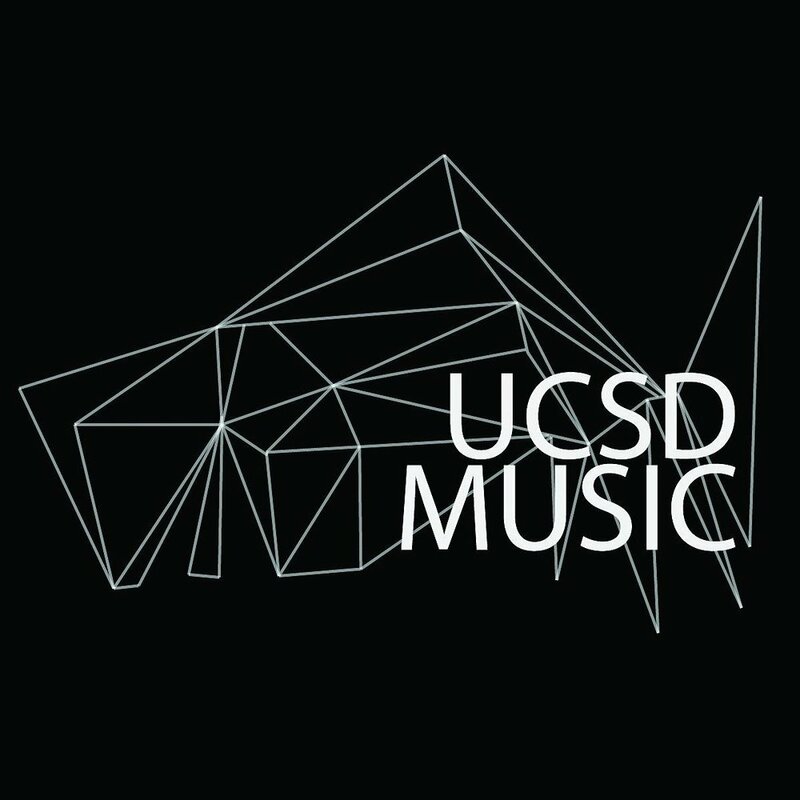 The opera is being staged by a cast of graduate students at UC San Diego's Department of Music and presented at the Conrad Prebys Music Center. Here to tell us more about this ambitious project are my guests. Susan Narucki, she is a new music soprano and a professor of music at UCSD, and she is directing the chamber opera "To Be Sung."